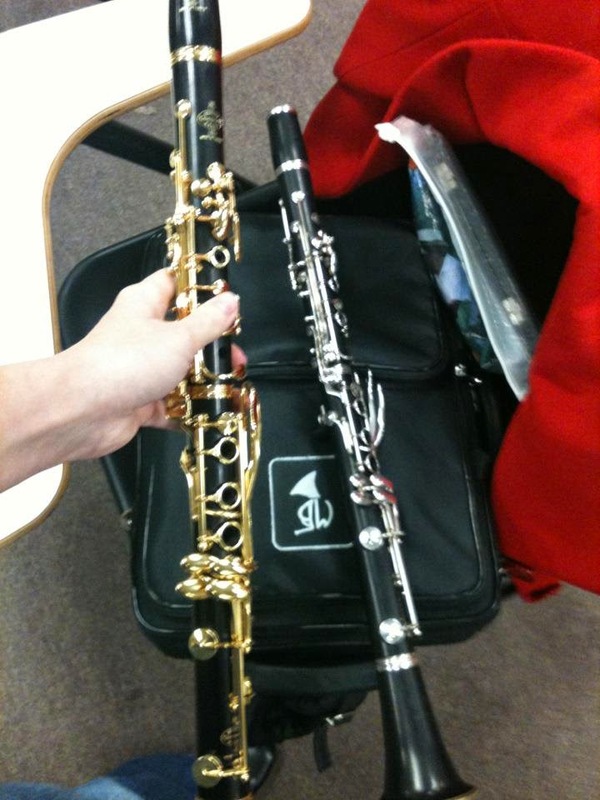 So today, I went by and visited my alma mater, The University of North Texas where Taplin and Weir was doing a presentation and letting everyone play with all the clarinet goodies. 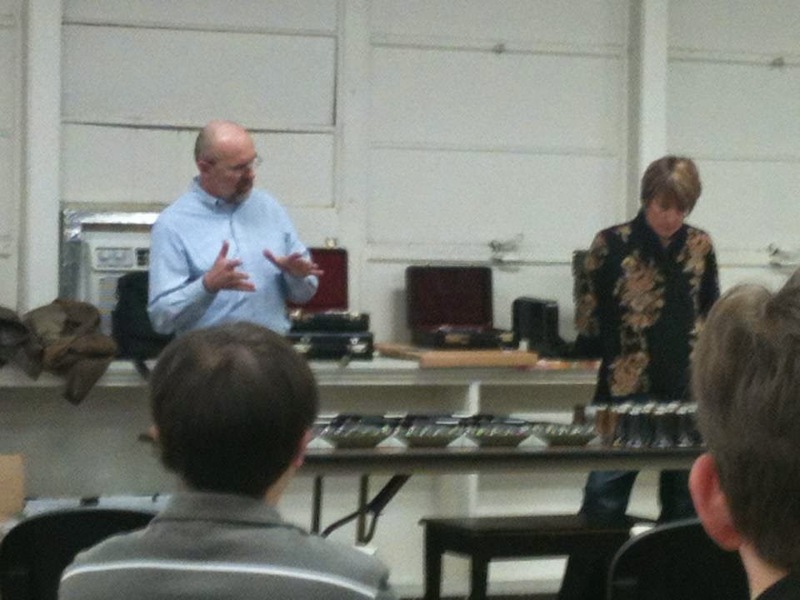 The presentation was very nice, lots of clarinet repair information, talks about bores, pads, plating, etc. Following the presentation, there were plenty of barrels, bells, ligatures and clarinets to try. Of course, I had to try the gold plated R-13 first. 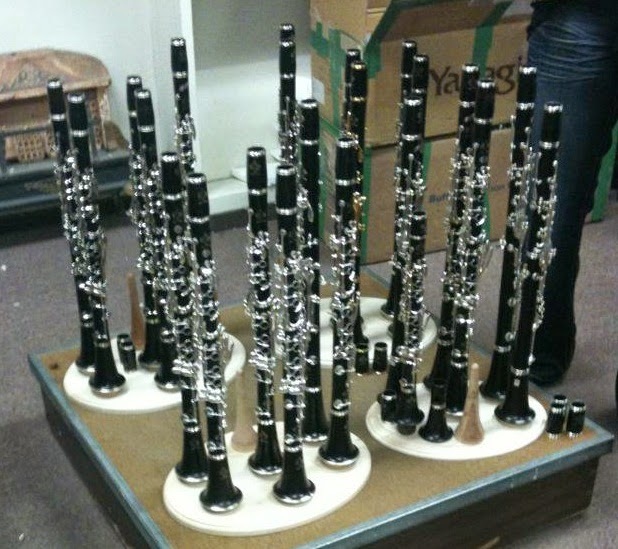 Also, UNT is going to offer a clarinet workshop for high school clarinetists and it looks good. Check out http://music.unt.edu/clarinet/CLAREssentials.php for more information.